We work with amazing businesses and organisations helping to create fabulous events. Product launches, brand awareness projects, staff training days, award ceremonies and parties. 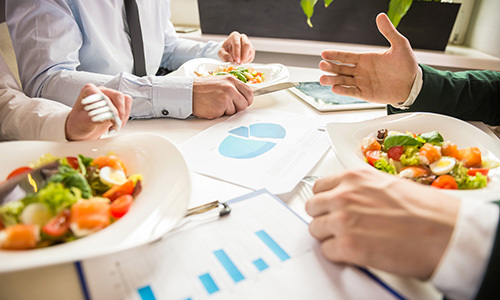 Share your vision with us and with our years of experience working with corporate clients, our professional team will understand the detail of the brief and suggest styles of food and service to suit. We will offer support from the initial discussion to delivery on the day, ensuring professionalism at all stages. 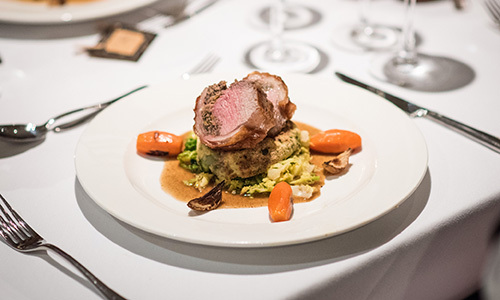 We’re chosen by big corporates to deliver their dishes, contact us to find out why. Classically a pre meal nibble our funky little bites are also suited to those events where a simple glass of bubbly just isn’t enough. We’ll design the food and service style to complement your brand values whilst our impeccable waiting staff free you to concentrate on your guests. Great where something more substantial than canapés is required but seating everyone may not be an option. Both savoury and sweet, enjoy bowls of your favourite foods in smaller sizes. Served by our staff or using the theatre of chefs at food stations. 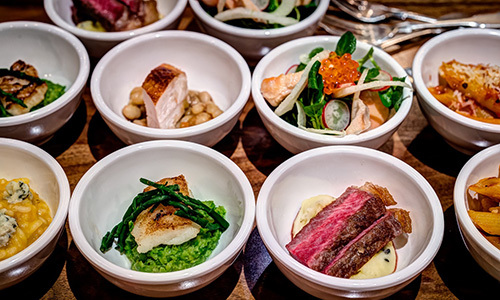 Tell us timeframes, guest demographics and event goals and we’ll suggest the dishes and quantities to suit. Often greater numbers of guests with a need to be that little bit special, Gala Dinners, Award ceremonies or this year’s Christmas Party. 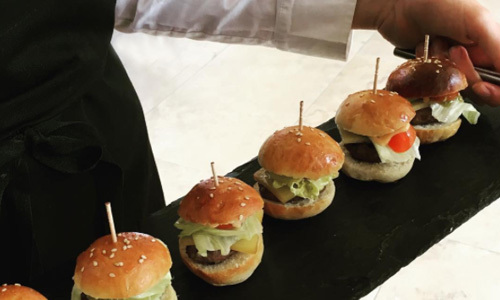 With vast experience in catering for large numbers our team understand the importance of fabulous food and seamless service. Depending on how formal the event, one, two or three courses plated & served or as grazing table buffets with wooden sharing boards let us talk through our ideas. Perfect for corporate team building or a family fun day. 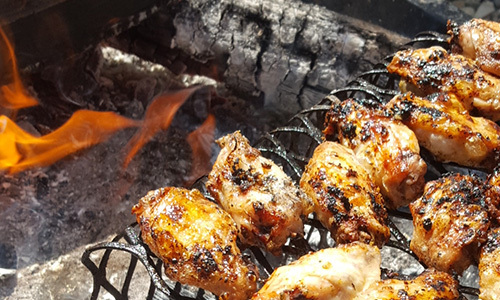 We love cooking over the coals – you won’t find a gas Barbie here. Our Fire Pits add theatre to your day using Apple, Birch and Cherry woods adding that special flavour. From traditional bangers and hand pressed burgers to our 18hr Hot Smoked Brisket, Sticky Ribs and Pulled Pork with everything in between you name it we’ve cooked it. Don’t forget none meat eaters love BBQ too – we’ve some fab ideas for them. For something a little bit special – butterflied whole lambs slowly cooking over open flames basted with garlic and herb infused Salmuera. Sliced and served with vibrant salads and warm flatbreads from the wood fired oven, this is Argentine Asado cooking at its best. Works really well with Beef Ribs and Pork Belly too! If you’ve not had fresh pizza from our wood oven then you’re missing out. It is quite honestly an infatuation of ours that led us to Naples and the best pizza restaurants in the world. Both are fantastic for summer outdoor events – team building, corporate days and staff away days to name a few. Having a brainstorming session? Our working lunches will bring food for thought! Waring’s creative, high quality food delivered. Contact us to discuss your requirements.